W.S. Van Dyke was perhaps the best-known of the early contract directors at Metro-Goldwyn-Mayer studios. For this reason, many of his films played the Chinese Theatre, which was in the M-G-M orbit from the time it opened to Van Dyke's death in 1943. He is chiefly known today for being a mentor (along with director Victor Fleming) of actor Clark Gable. His crisp efficiency on the set earned him the nickname "One Take Woody." In a strange twist of fate, Van Dyke's father died the day his son was born. Mother Laura Winston had to return to the stage, where young Woodbridge and she toured the vaudeville circuit. In 1903, the 14 year-old Van Dyke moved to Seattle to live with his grandmother. During this time, he worked his way through business school, working odd jobs. By age 19, he married an actress and had moved to Hollywood in 1915. Like Raoul Walsh, Van Dyke became an assistant director for D. W. Griffith on The Birth of a Nation (1915), but unlike Walsh, Van Dyke worked with the master on the Judean storyline in Intolerance (1916) as well. By 1917, Van Dyke had begun writing and directing films for the Essanay Studio, starting with the western The Land of Long Shadows with Jack Gardner. In 1920, Van Dyke was directing prizefighter Jack Dempsey in the serial Daredevil Jack. Van Dyke went to Fox Film, where he directed a bunch of silent westerns with Buck Jones. When he began directing for M-G-M in 1926, he was assigned to work on westerns with Tim McCoy. His big break came when he directed White Shadows in the South Seas, taking over a troubled production in Tahiti (the film became the first sound film to play the Chinese in August, 1928). Before long, Van Dyke was considered the most versatile of directors, able work quickly and to offer advice on pictures in trouble. Not all of his films played the Chinese, but a great many did: when Trader Horn with Harry Carry, Sr. which World Premiered at the Chinese in January, 1931), Van Dyke presented the entire cast from the stage at the "Midnight Matinee), on Saturday, January 24, 1931; Tarzan the Ape Man, which made a star of Johnny Weissmuller (1932), Manhattan Melodrama with Clark Gable, William Powell and Myrna Loy (1934), and The Thin Man with Powell and Loy (1934). 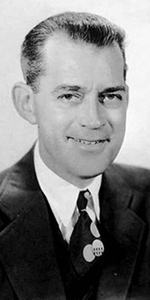 Van Dyke was nominated for the Best Director Oscar for The Thin Man. In early 1937, Van Dyke had just directed Joan Crawford and Clark Gable in the comedy Love on the Run. The picture had its opening at the Chinese on Wednesday, January 20, 1937, and to celebrate, they had Van Dyke and Gable out to make their impressions. With Gable, the largest crowd up to that time had gathered to watch the ceremony (surpassing even those estimates for Shirley Temple in 1935). 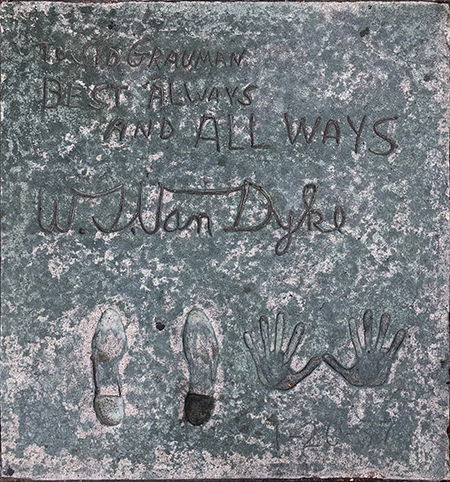 Van Dyke signed his square with his standard inscription: "Best Always and All Ways." For Van Dyke, the hits continued: Personal Property with Jean Harlow and Robert Taylor (played the Chinese in April, 1937), Marie Antionette with Norma Shearer (played the Chinese in October, 1938), Sweethearts with MacDonald / Eddy (played the Chinese in December, 1938), Andy Hardy Gets Spring Fever with Andrew Stone and Mickey Rooney (played the Chinese in July, 1939), Another Thin Man (played the Chinese in November, 1939), Bitter Sweet with MacDonald / Eddy (played the Chinese in November, 1940), Shadow of the Thin Man (played the Chinese in November, 1941), and I Married an Angel with MacDonald / Eddy (played the Chinese in July, 1942). His final film was Journey for Margaret (which was signed by Louis King, and played the Chinese in February, 1943), with Robert Young and Laraine Day. He published a memoir of filming Trader Horn called Horning into Africa, published in 1931, and became very active in advocating U.S. involvement in World War II. A Christian Scientist, Van Dyke suffered from cancer. After bidding his family and Louis B. Mayer goodbye, he committed suicide in 1943 at the age of 54. Grauman's Chinese Theatre, Hollywood, California. W.S. Van Dyke / Clark Gable Forecourt ceremony, Wednesday, January 20, 1937. Clark Gable watches W.S. 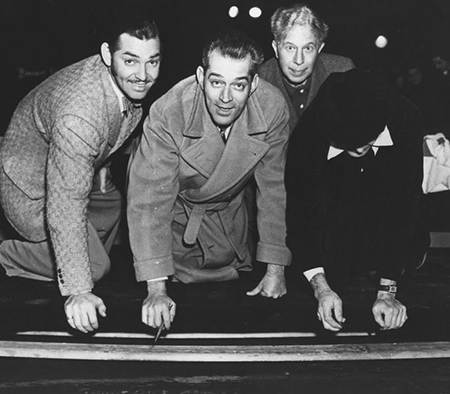 Van Dyke make his inscription, as Sid Grauman supervises over cement artist Jean Klossner.